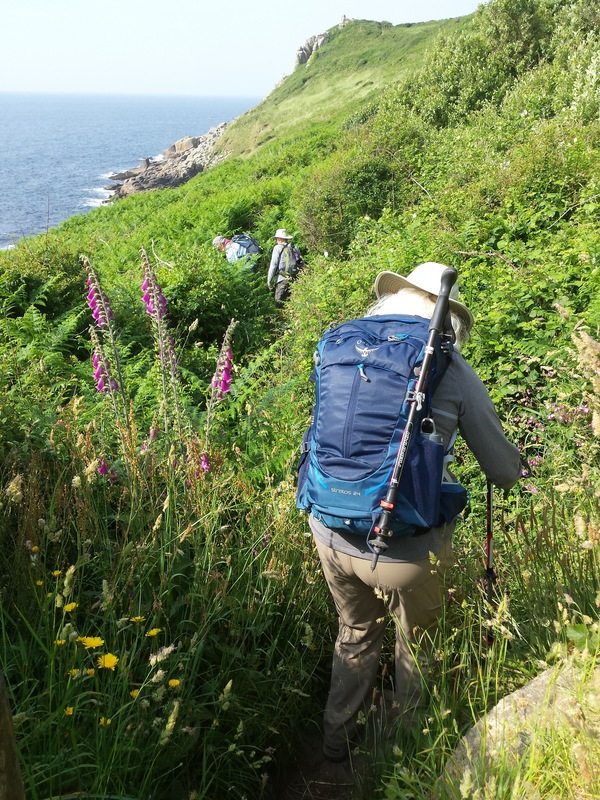 I visit my beautiful home county quite often, most recently to lead another hiking group on parts of the wonderful coastal path, so this is written with my tour leader’s hat on rather than the guidebook writer’s. 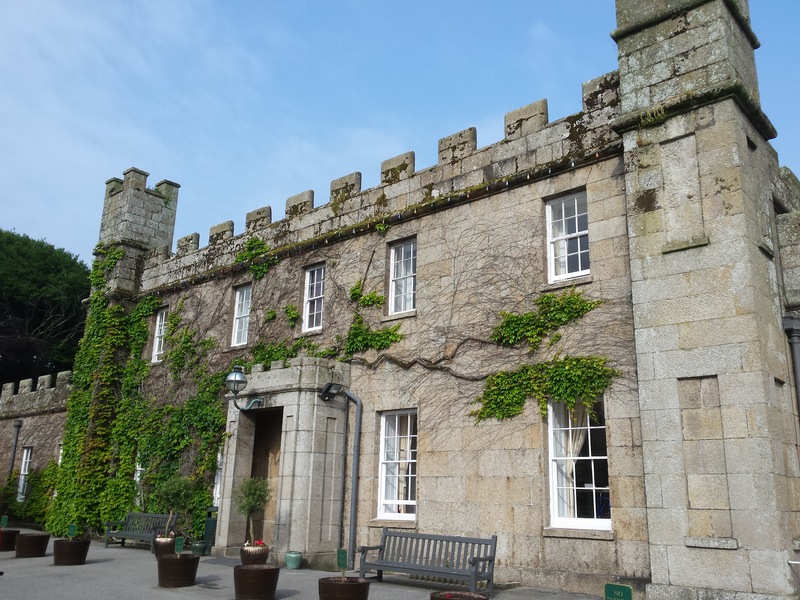 Above all I was struck by what a lousy choice there is of fair-sized hotels, above all in St Ives – we only need eight or ten rooms but, even so, there’s almost nothing available, presumably because the market is dominated by B&Bs and self-catering, and a few boutique hotels. We used to stay at the Harbour Hotel, but gave up due to poor service and their obsession with noisy tacky weddings. We tried the Chy-an-Albany, which was alright but closed suddenly when it was sold to become luxury flats, so the only remaining choice within walking distance of the harbour is the Tregenna Castle, which we all remember as the place sailing clubs and so on used to have their dinner-dances in the winter. It’s large and expensive, but it seems to be aimed at low-budget sales reps and coach tours – the rooms, though big, have tacky flatpack wardrobes and very soft beds, and breakfast is totally self-service, with mass-produced food (here’s an idea, why can’t British hotel staff forget the obsession with taking people’s room numbers and placing them at tables and do something helpful like serving tea and coffee instead?). Also in St Ives, none of the restaurants will take reservations for groups, basically because they don’t need to, but also because their kitchens can’t cope with producing a dozen dishes at once – we’re happy to pre-order, but they’re not interested. In any case, the fine Back Street Bistro has closed – but don’t worry, the owner has moved to the pub in Barripper, just outside Camborne, now trading as the St Michael’s Mount Inn, a free house that offers a fine range of food and beer. Near Newquay, we always eat at Jamie Oliver’s Fifteen, which I love – it’s had a revamp, with a new head chef, and there are fewer weird dialect names for dishes specific to one village on the menu, but it’s still a very long way from generic Italian – although I did notice pangratatto (breadcrumbs, basically) on the menu both here and at Rick Stein’s in Padstow – maybe this is set to be the new arancini? Back in St Ives, the Tate has reopened after a four-year expansion project – so the town will be even more insanely crowded and hard to reach. There’s a busy Park-and-Ride train service from Lelant Saltings station (opened in 1978), and now a huge car park is under construction next to St Erth station, the junction with the main line to Penzance. This was first proposed as a Park-and-Ride site for Penzance, and was then to be the site for a replacement for the Penzance heliport after that was closed in 2012 to make way for a new supermarket. Now it’s being spoken off as a Park-and-Ride for both rail and bus services to St Ives – so it looks as if the County Council basically agreed to buy someone’s fields and then had to find a use for them. It may make sense when the Plymouth-Penzance train services are increased to twice-hourly at the end of the year (although a new station near Marazion would make it more useful). In any case a new helicopter service to the Scilly Isles was started recently from Land’s End Airport (near St Just), already used by the fixed-wing flights to the island – this does nothing about the problem of this airport being closed by fog far too often. 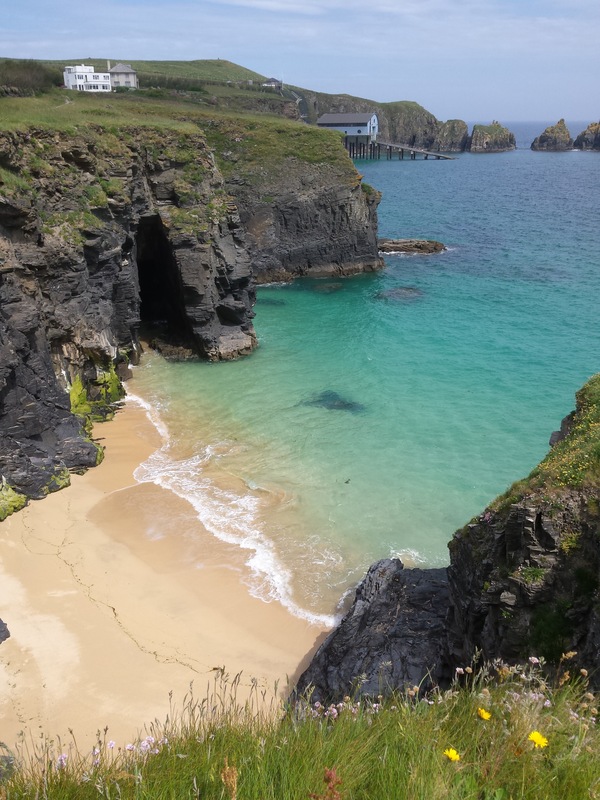 A proper new heliport on the edge of Penzance is needed and will with luck be approved very soon, despite the delaying tactics of the company that runs both the ferry and the flights from Land’s End. 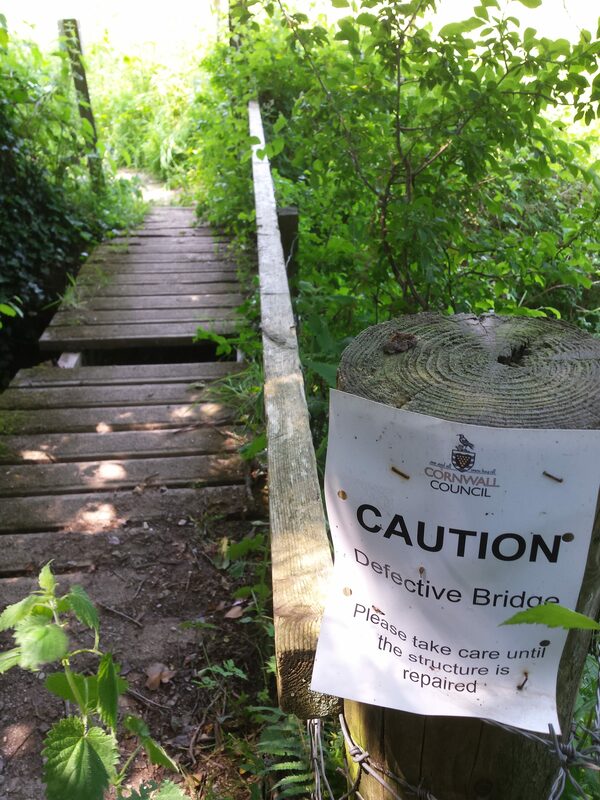 Cornwall Council really is pretty useless – while the sections of the coast path owned by the National Trust had been strimmed by early June, the rest was overgrown with nettles, causing problems not just for our hikers but also for runners trying to survive the epic race from the Lizard to Land’s End. Talk of waiting until wild flowers had seeded makes sense on road verges but not here, where it’s an obvious ploy to save money. Recycling is also a problem for visitors – there’s a home collection scheme, but there are no visible recycling bins in towns – I try to take mine to the Lost Gardens of Heligan (and the Eden Project, created by some of the same people, is even more eco-aware). Fowey really is my favourite Cornish town – it’s just as difficult of access as places like Mevagissey, but it avoids the crowds and traffic jams, because somehow it’s managed to project a middle-class image that keeps the shirtless hordes away – it has literary associations (Daphne du Maurier, Quiller-Couch, Kenneth Grahame) rather than artistic (the Lamorna, Newlyn and St Ives Schools) or – the horror! – TV (Poldark, Doc Martin). 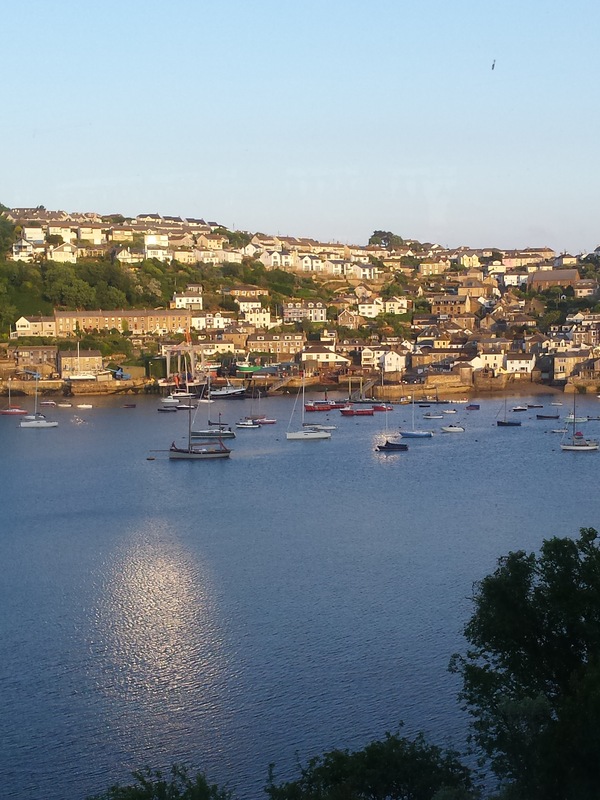 There’s nothing as nice as sitting on the terrace of the Gin Bar at the Fowey Hotel, watching the early evening light on Polruan and hoping to see a pod of dolphins or a china clay ship slip into the harbour. But this idyll is threatened, because the hotel’s owner, Richardson Hotels, is bankrupt (due to over-spending elsewhere) and is being bought by Harbour Hotels, who are bound to ruin it, given our experience with their St Ives hotel. Another problem arises with banks and ATMs – there’s one cash machine left in Padstow and one in St Ives, and now the last bank in Fowey has announced that it will close in October, taking the town’s only ATM with it – they and the town council are committed to finding a replacement site for the ATM, but there will doubtless be a gap before it’s available. The bigger towns such as Truro, Bodmin, Falmouth and Penzance are well served, but it’s the tourist towns that are being abandoned. A final thought – there are defibrillators all over the place now, but I was struck even more by how omnipresent the RNLI has become. When I was a kid we sometimes went out for the day on a former lifeboat, all polished teak and gleaming brass, called the Lizzie Doy – as the Duke of York, she had been the Lizard lifeboat, geddit? Since then the classic lifeboats have been joined by swarms of inshore rescue boats, but the RNLI has also taken over lifeguarding on most beaches (surfing is a much bigger deal here than when I was a kid). 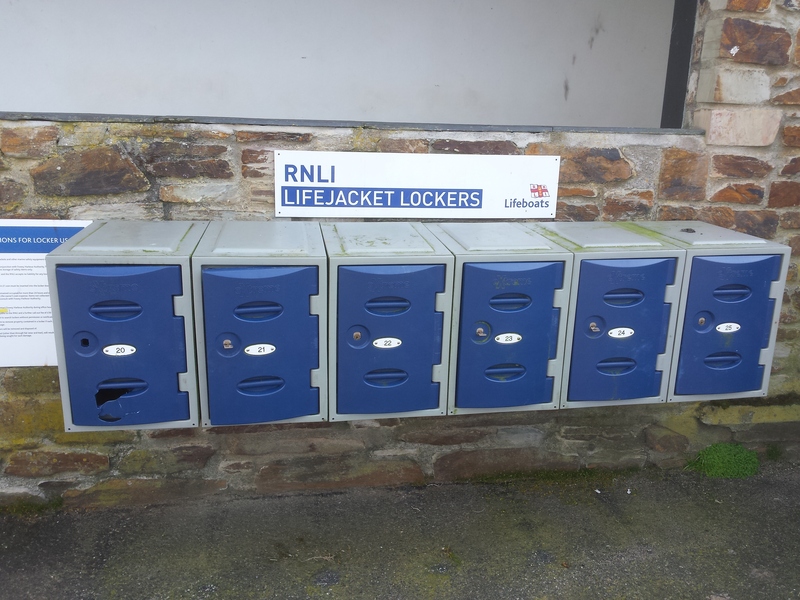 I even spotted RNLI lockers for boat-users to leave lifejackets in when going ashore at Polruan – notoriously one of Britain’s best-funded charities, they’re clearly having to find inventive ways to spend all the loot. We have enough trouble with the compulsory cycle helmets lobby, I hope we’re not going to have a compulsory lifejackets lobby too!